Grand Cayman (6 November 2017) The Cayman Islands Monetary Authority (“CIMA” or “the Authority”), together with Scottsdale Mint, is proud to reveal a new coin collection series named the Cayman Islands Atlantic Blue Marlin Coin, of which, only the 1 ounce .999 fine silver bullion has been issued so far. 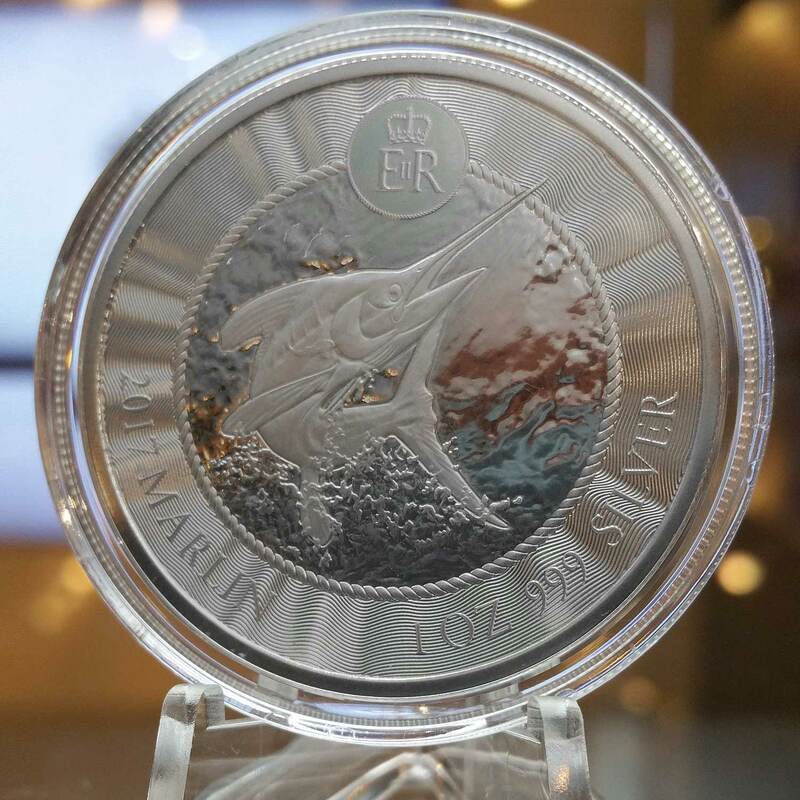 Inspired by the Blue Marlin, the design features the effigy of Her Majesty The Queen Elizabeth II which is depicted on the obverse of the coin with the Blue Marlin on the reverse side. The Blue Marlin is currently considered a threatened species by the International Union for Conservation of Nature due to over-fishing. Both the Authority and Scottsdale Mint hope to promote the Cayman Islands as a big sport fishing destination while helping to draw attention to the islands’ eco-tourism and sustainable fishing practices such as the “catch and release” programme. Catch and release is a common practice within recreational fishing intended as a technique of conservation. After capture, the fish are unhooked and returned to the water. 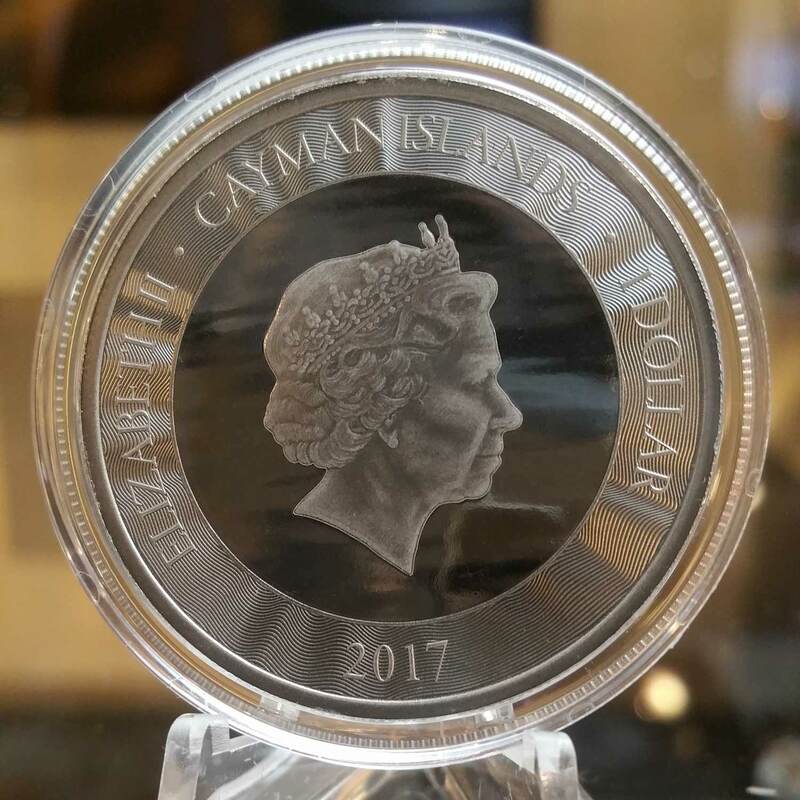 The introduction of this coin will not only further enhance Cayman’s tourism industry but it will also boost its numismatic programme globally. The silver bullion coin is currently available for sale and would also make the perfect Christmas gift for any coin collector. For more information, please contact CIMA’s Currency Division on the ground floor of the Government Administration Building, 133 Elgin Avenue between 9:00 a.m. and 4:00 p.m. at (345) 244-1596, or by email at contactcurrency@cimoney.com.ky. Interested persons can also contact the local authorised distributor, Strategic Wealth Preservation at (345) 640-2111 or info@swpcayman.com. The gold bullion coin and the respective coloured versions will be available for sale at a later date.